Mimosa Linn., Sp. P1. 516. 1753. Gen. Pl. ed. 5. 597. 1754. Trees shrubs or herbs, mostly armed; leaves bipinnate; secondary rachides mostly 2-stipellate. Inflorescence globose head or cylindric spike. Flowers small, sessile 6-3-merous. Calyx usually minute. Petals more or less connate. Stamens double the number of petals or equal, free, often twice as long as the corol¬la; anthers small, eglandular. Ovary usually sessile, 2 or more ovuled; style fill form. Fruit oblong or linear, usually plano-compressed, valves 2, separating from the persistent margins. Seeds ovate or orbicular, flat. A genus with about 600 species, mostly from tropics and subtropics. Mimosa armata Rottl. ex Spreng. 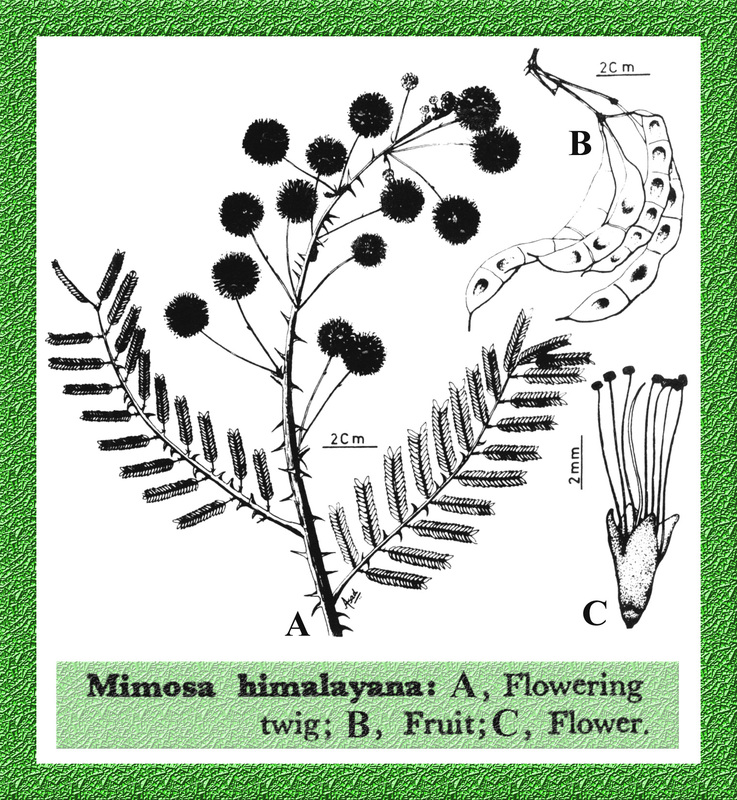 = Mimosa hamata Willd.